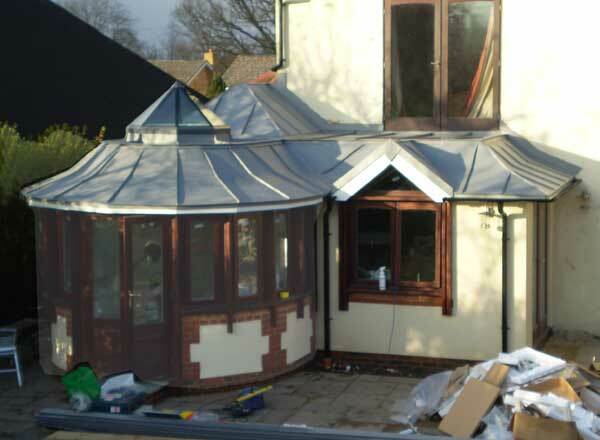 This job, on an extension of a house in Surrey, was not large but was complex. 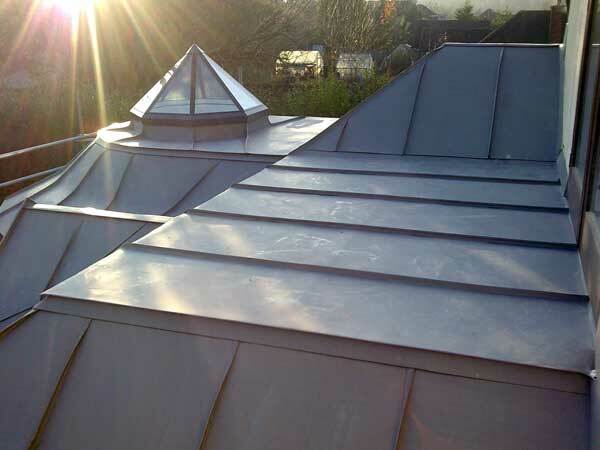 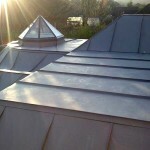 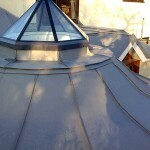 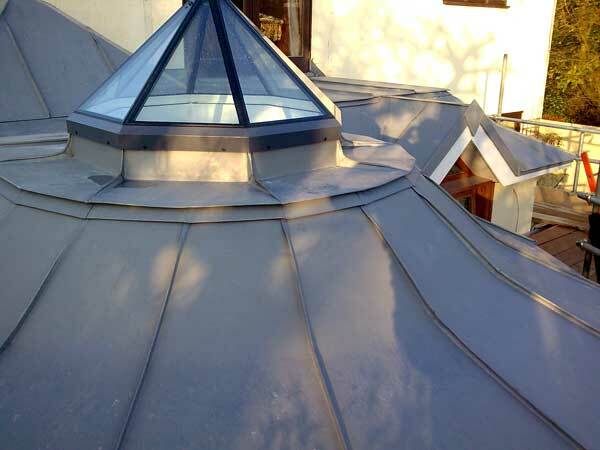 The radial panels round the main section, the many junctions between different areas and the pagoda-style change of pitch round the whole roof made the job challenging and time-consuming. 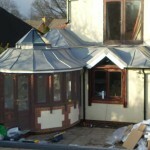 The client was very happy with the finished work.